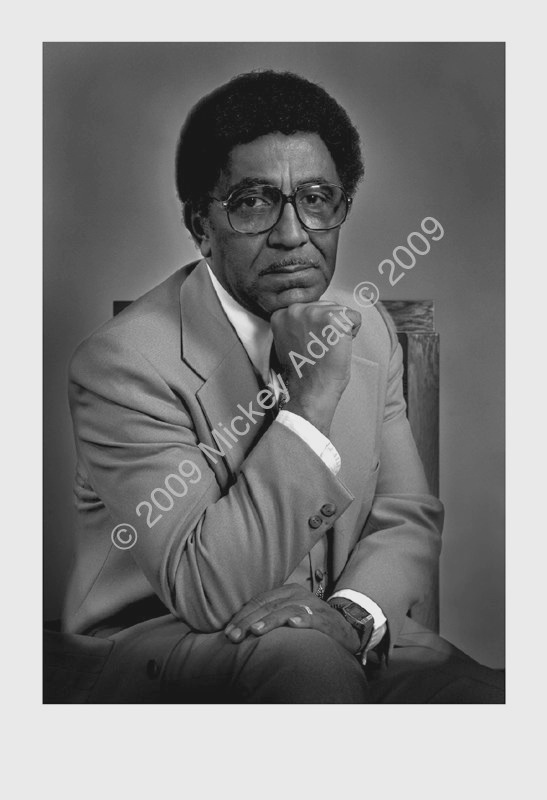 Dr. Joseph Lowery was the longest serving president of the SCLC. He had recently been north of Atlanta in Wrightsville where the Ku Klux Klan was marching to stop MARTA, the Atlanta mass transit line, from going through there. Dr. Lowery confronted them face to face. I asked him to give me a look like the one he gave the Klansman who was trying to obstruct him. He poses here after Rev. Steele’s funeral in 1980.